- Hit .500 (22-for-44) with six doubles, two homers, 14 RBIs, and nine steals in 17 games as a senior in 2015, including a .582 OBP and .772 SLG. - Did not strike out once in 55 plate appearances, hitting safely in his final six at-bats of the season. - Hit .344 (11-for-32) with the 2014 USA Baseball 18U team, scoring 12 times with seven RBIs in 12 games. - Ranked the No. 14 prospect in North Carolina and No. 250 nationally for the 2015 MLB Draft according to Baseball America. Ranked No. 90 in the country by D1Baseball.com. Ranked No. 6 high school shortstop prospect for the 2015 MLB Draft by baseballdraftreport.com. 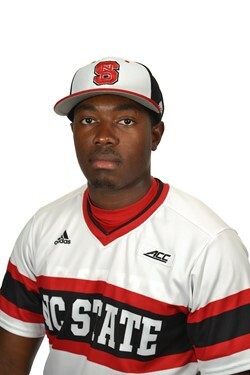 Check out Xavier's first college swing for NC State. Or if you'd like to see his prospect video you can see it here.